Calgary, AB, Houston,TX, June 29th 2017: VistaVu Solutions is pleased to announce that they have acquired the SAP Business ByDesign practice of FMT Consultants, a seasoned provider of integrated business solutions and information technology services throughout the US and Canada. The acquisition of the SAP ByD practice from FMT Consultants includes professional staff, existing accounts, and SAP-specific content. This transaction supports VistaVu’s plans for growth and confirms a commitment to become one of the leading software companies in North America. FMT will continue to provide leading business solutions in ERP, CRM, and BI, along with support and development services for a host of application providers. As both entities are privately held, financial details of the transaction will not be disclosed. “We are excited about this acquisition. FMT has a reputation within the Business ByDesign community as being one of the best delivery teams in the business. They bring an established customer base and a team of experienced and knowledgeable Business ByDesign experts, and this expertise will help to extend and enhance our product and service offerings into multiple vertical industries,” states Jory Lamb, Founder and CEO of VistaVu Solutions. The integration of the FMT Business ByDesign practice into the VistaVu Solutions team will take place over the next several weeks. 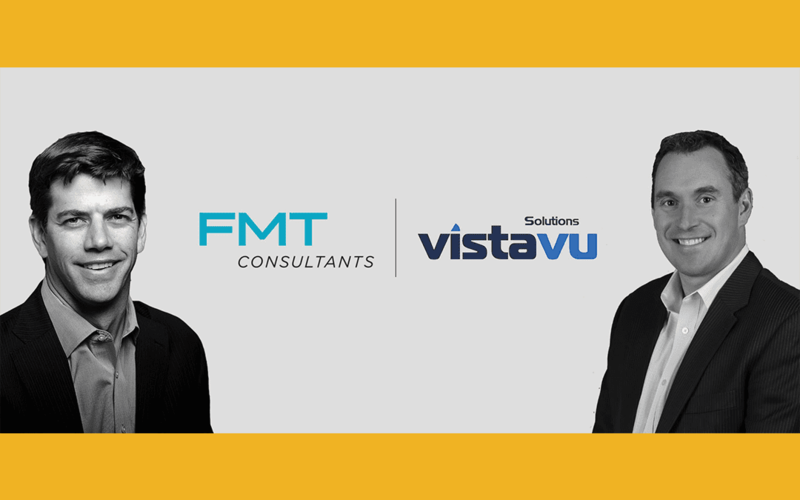 During this time, customers from both organizations will continue to receive the same high-quality service and support they have come to expect from FMT Consultants and VistaVu Solutions. VistaVu Solutions, one of the top SAP-certified partners in North America, is a focused, rapidly-growing and progressive provider of game-changing business management solutions for the industrial field services industry, including FieldVu – the industry’s leading completely integrated field management application built on SAP. FMT is a seasoned provider of integrated business solutions and information technology services throughout the US and Canada with a significant presence in Southern California. Since 1995, FMT’s experienced team of experts has been partnering with clients to integrate, configure and customize innovative technology solutions to help them improve and streamline their business operations. The company has offices in Carlsbad and Los Angeles, CA. Visit www.fmtconsultants.com for more information.